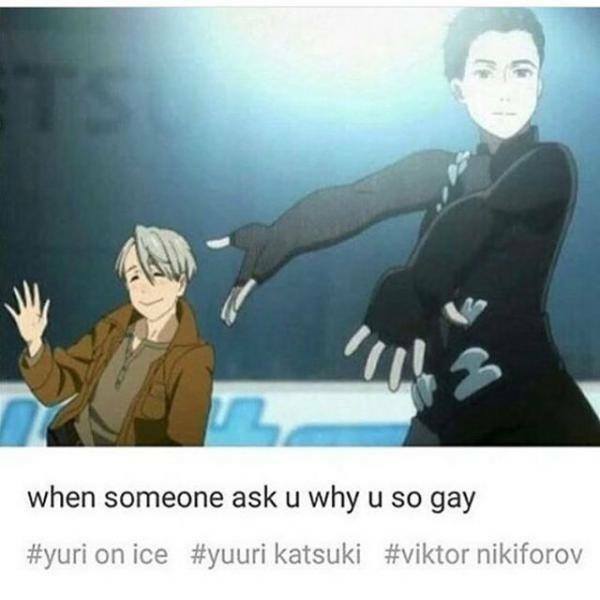 why u so gay. Thought this was hilarious XD. Wallpaper and background images in the Yuri!!! on Ice club tagged: yuri on ice katsuki yuuri victor nikiforov.